Lincoln gave this verse a very different reading. “The assertion of that principle” of liberty for all in the Declaration of Independence was itself “the word, ‘fitly spoken’ which has proved an ‘apple of gold’ to us,” Lincoln noted, while the Union and Constitution were “the picture of silver.” The Constitution was made “to adorn, and preserve” the principle of the Declaration, “not to conceal, or destroy [it].” And the obligation of the statesman was to preserve both the promise of the Declaration and the structure of the Constitution. Alexander Tsesis curiously overlooks this brief yet fascinating text in his loving history of the Declaration of Independence, but his premise and his story remain profoundly Lincolnian. For Tsesis as for Lincoln, the defining principles of the republic were indeed those laid out in the Declaration of 1776, far more than in the Constitution of 1787. His book is essentially a short history of the American political experiment, and the central character is the Declaration. Where Tsesis recounts that history, he has little new to say. His narrative comes alive only when the Declaration makes its appearance, on the remarkably numerous occasions when it was invoked, co-opted, or criticized by politicians and advocates. In a sense, the Declaration of Independence is the book’s main character. There are moments when one wonders whether it could somehow become the narrator. Tsesis has a different purpose. Justice William Brennan once described the Constitution as “a sublime oration on the dignity of man,” but he must have meant that metaphorically, not literally. No one walks around quoting the Constitution—even its Preamble—for literary effect. Not so with the Declaration. Its preamble contains phrases that we immediately recognize, respect, and revere. Its truths have become “self-evident,” not in the colloquial meaning that we now give to that phrase, but in their philosophical sense, their original axiomatic quality, as the founding truths of the polity. Who would we be as a people if we rejected the principle that “all men are created equal” or denied that all are endowed with a birthright to “life, liberty, and the pursuit of happiness”? Part of that underlying American faith may be a tribute to Thomas Jefferson’s literary economy, a talent that helps to explain why his fellow delegates in the Continental Congress ranked him first among the members of the drafting committee for the Declaration. Compare Jefferson’s phrasing with other corresponding documents of 1776 and one gets a sense of his quotable genius. The corresponding first article in the original draft of the Virginia Declaration of Rights of May 1776 stated the same principles in a more rotund form: “That all men are created equally free and independent, and have certain inherent natural rights, of which they cannot, by any compact, deprive or divest their posterity; among which are, the enjoyment of life and liberty, with the means of acquiring and possessing property, and pursuing and obtaining happiness and safety.” Nor was this statement quite enough, once the Virginia provincial convention started worrying about how far their equality principle could go—say to cover their slaves. Accordingly the convention made two changes, amending the clause to say that “all men are by nature equally free,” but that the enjoyment of those rights operates only “when they enter into a state of society.” That last condition effectively excluded slaves. Essential as they were to Virginia economy and society, they had never entered it as rights-bearing individuals, being the mere chattel objects of slave law. Jefferson’s economy—his knack for an eighteenth-century sound bite—was a stroke of genius. It made his phrasing memorable and quotable by anyone, and less in his own time, when Americans already knew why they were revolting, than in generations to come. Jefferson’s phrasing quickly entered into popular culture, becoming an independent and universal source of political values to which anyone could appeal. Much of Tsesis’s story is simply a history of how often those appeals have been made, a record of how the core ideas of an equal natural right to liberty has played out, not only in the obvious cases of anti-slavery and the call for women’s rights, but in a whole array of other episodes as well. Time and again, as Tsesis documents, these ideas and Jefferson’s simple phrases were deployed either to attack some form of inequality or to ask how new patterns of behavior unknown to the revolutionary generation should be viewed in terms of Americans’ original commitment to equality. Somewhat regrettably, this creates a predictable narrative that makes the book somewhat desultory. Once one sees how Tsesis operates, it is easy to imagine how later chapters will unfold, and the absence of surprise can weaken a historical narrative as much as it saps a good novel. Still, the record that Tsesis traces offers a remarkable example of the way in which this single text has acted as an independent force in our history. For in his view, the history of the Declaration is more than a case study in the uses of political rhetoric. It is also an argument about the independent influence of the document’s ideals. Americans did not appeal to the Declaration merely because they could make such obvious use of its phrases. Rather, the existence of those key concepts is what has inspired the proponents of equality to seek their goals. But Tsesis’s appeal to the Declaration goes beyond his account of its many uses after the Revolution. This appeal rests on two further complementary convictions. One is that the Declaration’s commitments to equality and universal liberty embody not only the objectives for which later generations struggled, but the authentic original principles of the American republic established in 1776. Tsesis gives Jefferson’s concise statements an extraordinarily authoritative sweep. The Declaration’s “message of universal freedoms,” he asserts early on, remains “the national manifesto of representative democracy and fundamental rights.” Or again, “The Declaration created a unified national government”; it “established a national polity composed of states, while the original Constitution granted states the authority to run their own day-to-day operations.” The Constitution, in this view, remains a partial and less-than-perfect instrument for achieving the ends of the Declaration. The “disparities” that the Constitution accepted between the Declaration’s promise and its accommodations of American political and social realities should be seen as defects to be corrected by narrowing the distance between universal values of rights and equality and lived practice. These are powerful moral claims, but as statements of history they are highly problematic. The Declaration was the act of a national government that already existed, in the form of the Continental Congress, but the question of how unified its authority would be was left open, to be settled first by the Articles of Confederation and then significantly amplified and restructured by the Constitution. Nor did the Constitution “grant” the states any authority. That authority already existed. The Constitution only modified it by giving the national government independent legal powers of its own while imposing some restrictions on the legislative power of the states. The Continental Congress did decide that the independent states should be governed as republics—whatever choice was there?—but it did this not through the Declaration of July 4, but in another resolution approved seven weeks earlier. In short, Tsesis collapses into the Declaration a host of claims that text and context simply cannot support, assigning to it qualities and purposes it was not originally intended or understood to possess. His most basic misunderstanding goes to the great equality principle that Jefferson condensed into “all men are created equal.” Americans have long read that to mean that we are or should become equal to one another as citizens. That, in effect, is how we have democratized the Constitution since 1776—as Tsesis ably demonstrates. When inequalities are perceived and become objectionable, we cite the Declaration in support of our leveling claims. Often we do that not merely because the inequalities are unjust in themselves, but also because we believe that the Declaration instructs us to oppose them. But the intended meaning of 1776 was never about inequality within American society. It was instead a statement that Americans as a people, as a collective whole, were equally endowed with other peoples with the right to oppose tyranny, to “alter and abolish” unjust governments and establish new governments in their stead. This form of equality means little to us now, but in the revolutionary circumstances of 1776, that was the equality Americans needed to assert. Perhaps because historians have worked over the drafting of the Declaration so thoroughly, Tsesis resists spending too much time on the revolutionary context of 1776. In literary terms, this makes good sense—but only if one does not misstate what that context was. Tsesis cites, but essentially only in passing, the two most influential monographs on the framing, Pauline Maier’s American Scripture: Making the Declaration of Independence and David Armitage’s The Declaration of Independence: A Global History. In complementary ways, these two concise books do a much better job of setting the Declaration in its proper context. Maier emphasizes the ways in which it culminated the political upheaval that was taking place throughout the colonies in the spring of 1776, while Armitage rightly argues that the specific purpose for which the Declaration was issued was to establish the legitimacy of the colonists’ claims to self-government in the international context of the law of nations. Neither of these arguments requires us to make the Declaration an egalitarian text intended to set our national political destiny. Indeed, Maier concludes her book by describing how much all those later readings of the Declaration—the ones that Tsesis admires—moved beyond the intentions of 1776. Lincoln’s vision of the Declaration thus engages us far more deeply than the more prosaic interpretations that historians are duty-bound to produce. Yet if one views the Declaration in the historian’s light, then Tsesis’s other main claim looks problematic as well. The argument that the Declaration states the ends for which the Constitution is essentially the means expresses a noble sentiment, which is why we owe the same honor to Lincoln that he wanted paid to Jefferson. 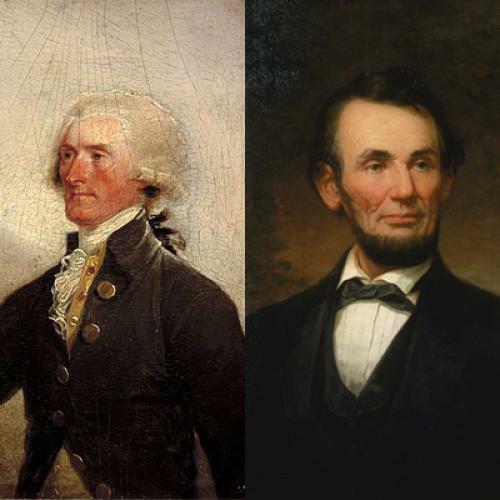 Lincoln made us a better nation—indeed, a better people—by insisting that the promise of the Declaration be fulfilled. But that is not the same point as insisting that the Constitution as originally adopted—the Constitution that still badly needed the Fourteenth Amendment—rested on the liberty and equality of the Declaration. How to convert its moral principles into a rule for constitutional governance before the era of Reconstruction first made that attempt remains a puzzle. The framers of the Constitution never discussed this idea, nor did later jurists propound any rules to give the Declaration recognizable constitutional authority. Indeed, as Tsesis notes at the end of his book, the judicial use of the Declaration even for rhetorical purposes has declined significantly in the past few decades. Only Justice Clarence Thomas shows any serious interest in constitutionalizing the Declaration, without any effect. In academic circles, its most pronounced proponent is Harry Jaffa, high priest emeritus of the Claremont Straussians. Yet who would want to claim that Lincoln was morally wrong when he took Proverbs 25: 11 and rendered his own interpretation of its proper meaning? Who would want to say that the word “fitly spoken” should secure a perpetual property in other men, rather than placing equality above the mere happiness of slaveowners? By demonstrating how often the Declaration has influenced and shaped our political discourse, Alexander Tsesis provides a significant commentary on the revolutionary legacy and Jefferson’s eternally memorable text.